It’s such an honor to feature Amanda Bates on the cover of our Summer 2017 issue. I first met Amanda at a Families in Global Transition conference in Washington, DC and I knew right away she was someone I wanted to feature in Global Living Magazine. Her bubbly personality mixed with her steadfast dedication to making an impact in the world through her work on The Black Expat make her the perfect addition to our extraordinary expat entrepreneur lineup. As the founder of The Black Expat (www.theblackexpat.com), Amanda provides a much-needed voice on issues related to global mobility and black identity. According to the site, The Black Expat “highlights the rich, international experiences of the Black Diaspora with firsthand accounts, personal narratives and key advice about cross-cultural living.” With contributors from around the world, The Black Expat features writers who want to share their experiences of international living and come from diverse backgrounds ranging from college students to seasoned adventurers. 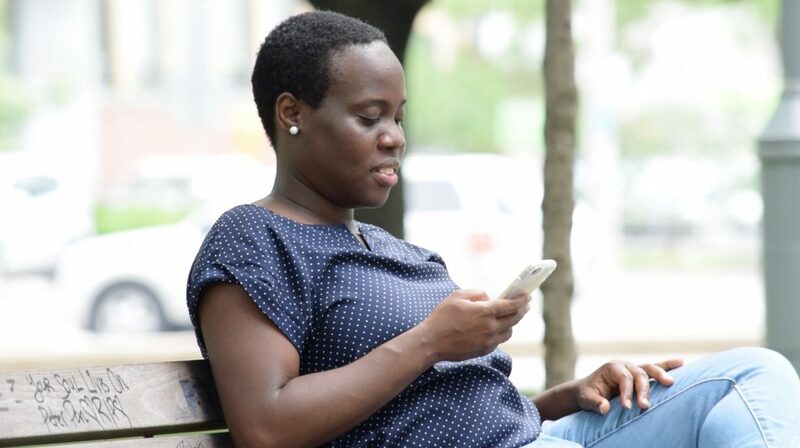 The goal of The Black Expat is clear: to make it easier for those who are starting on their own international journey by presenting the good, the bad and the ugly from real people who have already taken the plunge. 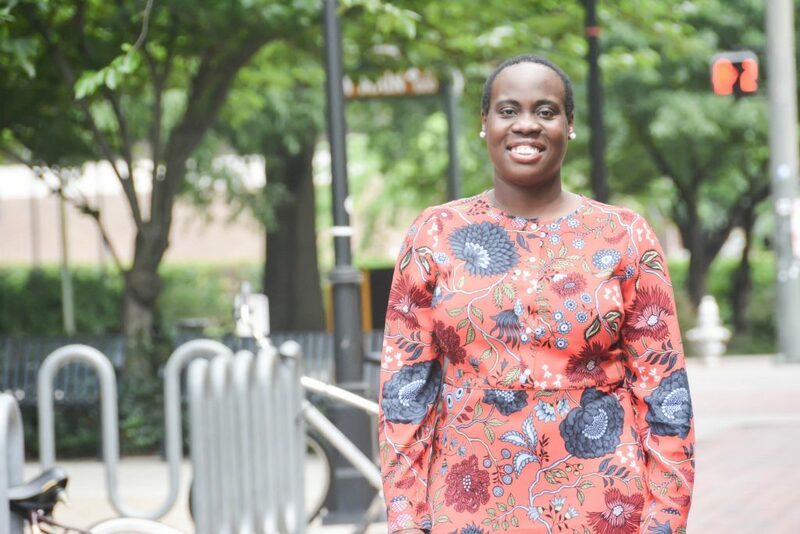 Raised bi-culturally in the United States and Cameroon, Amanda is a higher-education and student affairs professional who somehow finds the time to grow The Black Expat community to impressive levels. Her interest in navigating multicultural environments started young, and we hope you enjoy getting to know how that interest has grown throughout her life in this one-on-one interview exclusively for Global Living Magazine. Tell us a bit about your background – where you were born, where you grew up, where you went to school, where you have lived as an expat. I was born in Washington, DC to two Anglophone Cameroonians. I lived in Washington, DC, Virginia and North Carolina until I was 10 years old. My parents then decided to repatriate to Cameroon and move to the capital, Yaounde, which is Francophone. I lived there for all of my junior and high school years and did a mix of all kinds of schooling. I was home-schooled for one year. I attended a Cameroonian boarding school for one year. I then went to the American school for three years. After that I attended, and ultimately graduated from, an international missionary high school. I made my way back to the U.S. for college and split my time between there and Cameroon for a few years. In August 2016, I took a short-term opportunity that led me to Doha, Qatar. What was your first experience abroad like? Well, that would have been at age 10. My parents decided to repatriate and naturally I went along with them. I suppose like all Third Culture Kids, you just remember living abroad as part of your story, but it was an adjustment, of course. I moved from living in a typical American suburb to sub-Saharan Africa. Everything was different – the way of life, the climate, and just life in general. It was hard, but I would also chalk some of that to the fact that I was also entering the pre-teen/middle-school years… and everything’s just hard and weird at that age! During the first few months, I kept hoping we’d move back to the U.S., because naturally, it’s hard to deal with all these changes coming at once. It was hard being the new kid on the block and it gets tiring quickly. But interestingly enough, I don’t think it lasted as long as I thought it did. Once I found my friends and became acclimated, everything was gravy. What were some of the biggest challenges you faced when you first moved abroad? This would likely be the same anywhere, but not knowing the cultural expectations and mores. I was as an invisible immigrant. I looked like the general population and definitely had cultural ties, so there were assumptions that I understood and knew the social norms. It became evident once I spoke, however, that I had no idea what was happening. Funny enough, you could say the same thing happened when I returned to the United States for college. I sounded American, but I definitely had missed out on about six years worth of subtle cultural references when I came back. What are some of your favorite things about being an expat? The “newness” of a location. I loved that experience, whether traveling or relocating. It can be both exhilarating and challenging. It is the opportunity to explore a new space, culture and people. In general, I enjoy listening to people’s stories and, when you move somewhere, it is kind of easy to have those conversations. Once it becomes quite clear you are new, people have a tendency to open up and give you pieces of insight. I am a geek for history, so it’s always fun when people tell me in their own words how they perceive their hometown and what they identify as key to having a good experience while you’re in it. What are some of the more challenging aspects of being an expat? It is a bit discombobulating at first to try and make sense of a space that is so different from the ones you are accustomed to inhabiting. On the truly trying days, it is frustrating, especially when you don’t speak a language. Each of us has a way that we organize and process our surroundings. Much of that, in my opinion, is influenced by the communities we grew up in. So, going to a place that can be different, even polar opposite, sometimes is frustrating. For example, I’m a planner and like a certain amount of structure. That goes out the window when someone else’s idea of structure is completely different from yours. Somehow you have to rewire your brain to say, ”Yes, apparently people do not always stand in line here and that’s okay. Just aggressively push your way to the front, like everyone else, and get over thinking you’re being rude. You founded The Black Expat as a voice on issues related to global mobility and black identity. Tell us about your process in creating The Black Expat and what it has developed into. The Black Expat was an outgrowth of conversations and experiences. Having worked in higher education as well as having my own consulting practice, I connected with many (adult) black third-culture and cross-culture kids. Often, they would share experiences that were not necessarily reflected in expat literature – the experiences they had as children or the experiences of their expat parents. This concept of the site became more important as I was working with a number of black university students in my professional work at the time, to consider study abroad experiences. Most of them didn’t really have a history of college attendance within their families so they always needed advice on how to take advantage of the opportunities their colleges offered. I was encouraging many of them to go abroad because I was thinking about all that they could gain from the experience. Strengthened foreign language skills, cross-cultural competency, and a widened perspective. All these skills could be beneficial for their future careers, especially with the possibility of working overseas. However, the more I talked, the more it was hard for many of them to conceptualize why this would be an advantage. Few had experiences with those who had been expats, who looked like them, with the exception of those who had family members who served in the military. So I might as well have been talking about going to Mars. It was then that I really began to conceive a place where experiences and advice could be shared, that allowed those who have a black identity to share their global experiences. And I do mean inclusive, so this includes those with multi-ethnic backgrounds from around the world. It’s been important to me from the beginning that we have a mix of black voices so that we not just learn from those from our countries but those who are on the other side of the planet. The Black Expat features stories from diverse members who range from college students to seasoned adventurers. If someone reading this wanted to contribute, what would you advise them to focus on? Our stories have a lot of universal themes that are related to the expat experience and that is by design: finding community, understanding how you fit in a new location, embracing your new home, etc. But we also look for individuals who are approaching common themes from a different perspective, especially those that have been under-represented. Probably one of my favorite interviews was with an individual who had formerly been a Sudanese Lost Boy. His story was nothing short of miraculous as he chronicled living in one refugee camp in Ethiopia, only to be displaced by war, and then relocating to one of the largest refugee camps in the world, in Kenya, and then gaining asylum to the U.S. as a teenager, and eventually becoming an American diplomat. He’d been a Third Culture Kid and an expat… but probably in the most unassumed version of those terms. He had a lot to teach about mobility and tenacity, to be honest. 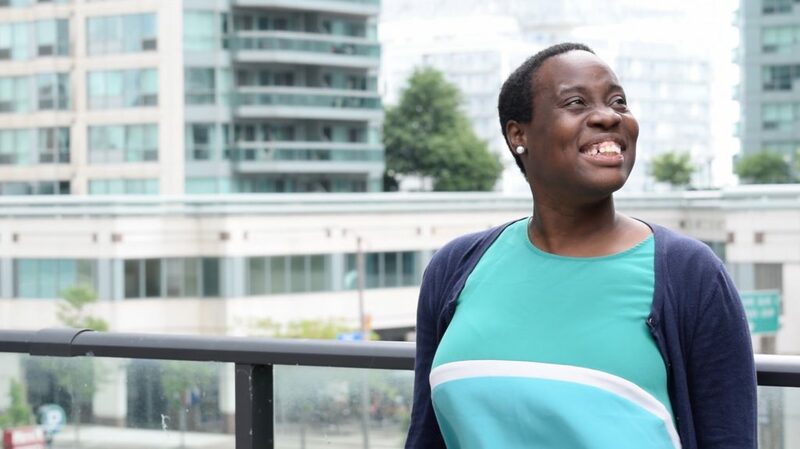 One of my other favorites is from one of our regular contributors, Kari Mugo, outlining what exactly passport privilege looks like. She’s a gifted writer and she really takes the audience on a personal journey that, to have a “wanderlusting” heart, you have to deal with the realities of having a passport that is less powerful than others. Both of these articles, in many ways, exemplify what we look for. We want unique, yet relatable. Familiar themes are okay as long as they are provided in fresh perspective. And for us, that also means, there has to be a black perspective in there. You were recently based in Doha, Qatar. Tell us what brought you there and what that transition has been like for you. I am actually in another (transition) as we speak right now. About a year and a half ago, I was getting the “itch”. I guess it’s the one many a Third Culture Kid gets. I thought it was a good time for a change. I was in the process of finishing up a Masters in Counselor Education degree and I wanted to add an international component to my experience. As part of the graduation requirement there is a practical, experiential component. I needed to complete counseling hours in a higher-education setting. As it happened, my campus had a branch campus in Doha (as part of the Qatar Foundation’s Education City). At the time, career-counseling services weren’t being offered. I made a pitch through my academic department and was able to set up a short-term (year-long) assignment on that campus. Doha was fascinating. It was my first foray into the Middle East and, as a result, I did a lot of research and spoke to those who had lived or were familiar with Qatar. So in that sense, I felt prepared enough. You can never really feel truly ready until you get to the actual location. That being said, I met some really amazing people in Doha who helped me get settled. The country really is family-oriented, so while I was “expatriating” by myself, I always felt that I had a community. That might be the most important thing about this expat life – find a community of people. Just about anything becomes bearable when you have one. But beyond that, I may have underestimated the heat! I have lived and visited some hot places (both humid and dry), but yeah, that Gulf heat is no joke. In addition to running The Black Expat, you’re also a higher-education and student affairs professional. 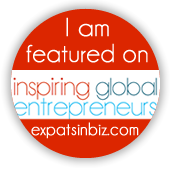 How do you balance your career with your passion for the expat community? You know there really isn’t a separation. The thing about higher education is that you can always meet people from different parts of the world, if you are intentional. In Doha, many of my students were Third Culture Kids now, so we had a shared identity and similar commonalities in experiences and what it means to cross culturally. And this was the same case with my students in the U.S. The only difference is many of them were Third Culture Kids and did not necessarily know it because they hadn’t encountered anyone at that point who had told them about the term and the general experience. As far as the day-to-day goes, I am really fortunate to have a solid team who works with me on The Black Expat. Perhaps one of the best benefits of not being in the same time zone as most of my staff is that someone is always working on something while others are asleep. Even with that, it is borderline miraculous how much gets done. What advice would you have for a first-time expat or someone thinking about moving abroad? Be flexible. Guaranteed, the experience – good or bad, or both – won’t be like anything you expect. Don’t compare it to your last location or “home”. Nowhere can compete with memory or nostalgia. Be present. This might be hard in the beginning when homesickness kicks in or you are dealing with a really terrible work environment. Connect with those who can give you insight about a location – I mean people who have dived deep into a place.. and not just at a superficial level. Those who made it a priority to know the locals and understand the ins and outs. Also, bring your hard-to-find spices. When that moment kicks in and you need to make a food dish that reminds you of home, you’ll be happy that you stuffed that saffron powder in your suitcase. Where do you see yourself in the next 10 years? Where would you like to take The Black Expat in the future? Me? On a beach somewhere… I’m always trying to make that work! With The Black Expat, we always have something in the works. We’re only in year two, so we’ve been focused on building a community. However, we’ve got some projects on the horizon for 2018. Right now an entire web redesign is in the works that will include more visual content. But ultimately, I’d like us to be seen as a go-to resource for black expats who need both support and information. At the end of the day, that’s probably what our audience wants more than anything – to know that the expat life can be aspirational, achievable and accessible to them. And if we can help someone make the jump in the best way possible, then we’ve done what we set out to do. Pretty excited about 2018. 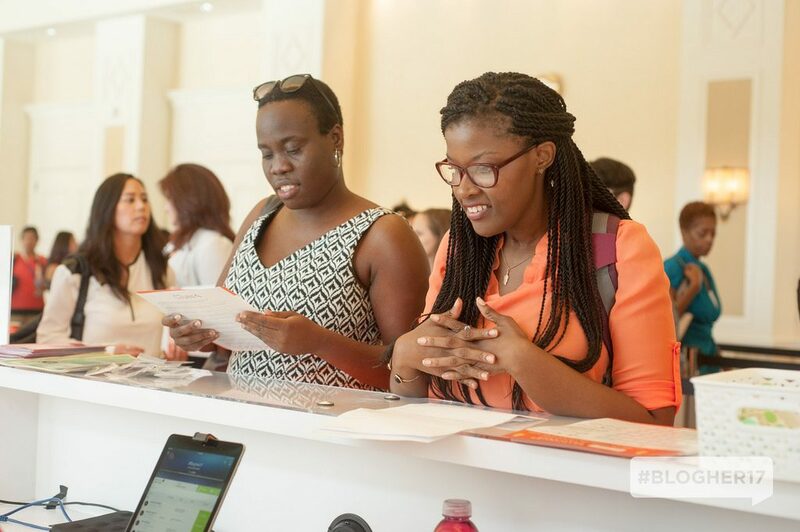 We’re essentially launching The Black Expat 2.0 as well as offering more digital content. We are really looking forward to opening this dialogue on what migration looks like from various black perspectives. The Summer 2017 issue of Global Living Magazine is FREE in our app!